Good Shepherd Entertainment and independent developer CreativeForge Games have just released their new gamplay breakdown trailer for Phantom Doctrine, the turn based espionage strategy game. Phantom Doctrine isn’t far off now as it’s set to launch on August 14 on the PlayStation 4, Xbox One, and PC. It will cost $39.99 and will have a 10% launch discount on all platforms. 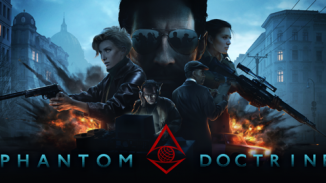 Let us know what you think of Phantom Doctrine in the comments below.